Eldoras Dovetta Bergin of the Bakerville district of New Hartford was born August 9, 1925 in Hartford, daughter of New Hartford natives Esther (Surdam) and Henry H. Bergin. 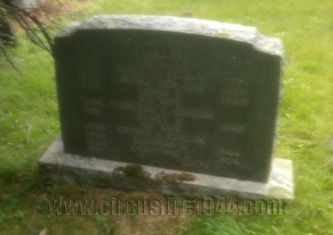 She was found dead at the circus grounds after the fire on July 6 and was buried at East Cemetery in Harwinton after services at the Shea Funeral Home. 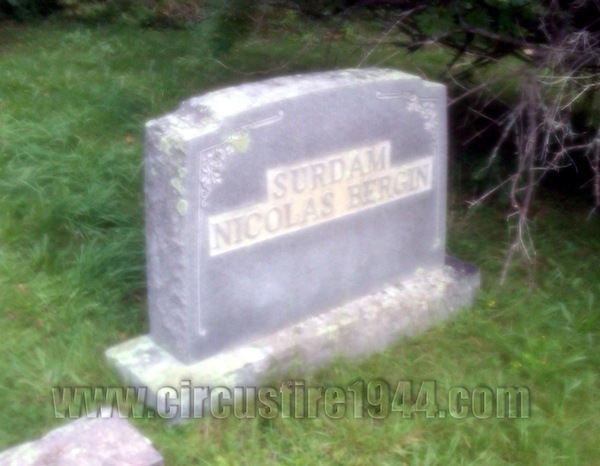 Miss Bergin attended the circus with her cousins, Katherine and Clarence Surdam, who were also victims of the fire. In addition to her parents, Miss Bergin leaves her sister Florence Elizabeth Bergin, age 16. 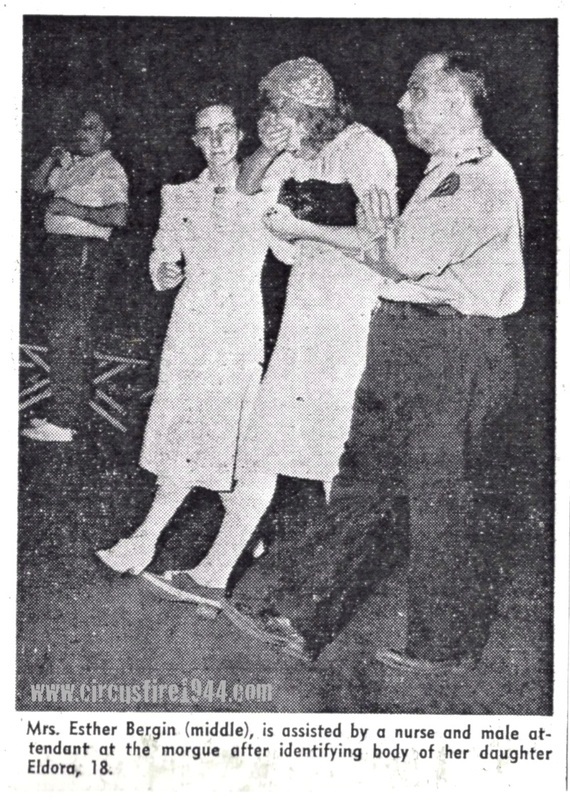 Body #1583 was identified as Eldoras Bergin at the State Armory by her mother, Esther Bergin. Prior to her death, Eldoras worked on a poultry farm. Her estate was awarded $9,000 by the arbitration board. 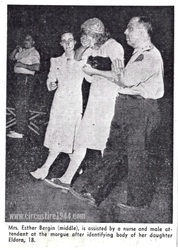 Note that Eldoras is of no immediate relation to other circus fire victims Miss Mary and Mrs. Mary Bergin.